Peter has further extended the company’s vineyard holdings to the extent that they are now totally self-sufficient for the needs of their various brands. 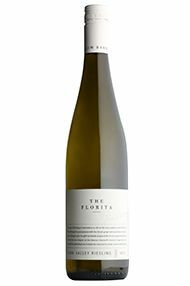 They own 10 vineyards in the Clare Valley covering 200 hectares and a further 14-hectare estate in the Barossa Valley, giving them access to prime quality fruit with which to create and develop premium brands. The business has acquired much more of an international feel under Peter’s stewardship and 50% of production is now destined for overseas markets. Central to the winery’s fame has been a series of super-premium wines from special vineyard sites which produce outstanding examples of the relevant varietal or blend of varietals. 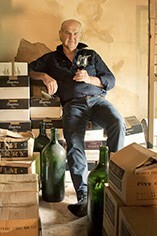 McRae Wood Shiraz, for example, is made from a 70-acre piece of land which Jim Barry purchased from Duncan McRae Wood in 1964, knowing that it would be an ideal site for top-class Shiraz. It was his first vineyard. 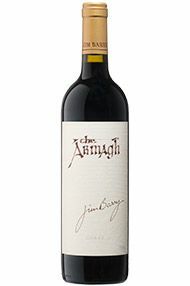 The Armagh is another premium Shiraz, the pick of the Jim Barry range, and this takes its name from a patch of lush, rolling farmland which so reminded early Irish settlers of their Ulster homeland that they named it Armagh. The philosophy of the estate is to locate vineyards capable of producing exceptional quality fruit and then to retain all of that quality in the winemaking process. It is also a policy to hold these wines in reserve until they are ready to drink, a laudable objective which requires significant investment. Although these top wines can be drunk on release it’s fair to say that all have considerable development potential over many years in bottle. 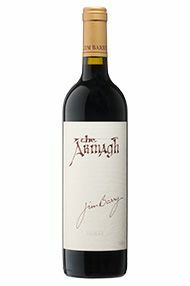 Deep garnet-purple in color, the 2010 The Armagh Shiraz flaunts a gorgeous aromatic red and black fruit core intermingled with clove, chocolate box, and eucalyptus aromas that are still very primary. Bottled under screw cap, it has a really fine palate that is very elegant yet powerful. With vibrant acid, firm and very fine tannins, the flavors are rich and layered with spices coming through on the long finish. Drink it from 2015 to 2030+. Deep garnet-purple colored, the 2012 Shiraz The Armagh offers a gorgeous perfume of baking spices, violets, Sichuan pepper and fragrant earth. More earthy and savory in the mouth than on the nose, the palate is superbly structured and taut—built for the long-haul—with a long, complex finish. Still very youthfully, forget this wine for 3-5 more years and consider drinking it over the next 20+.